Wraped in paper first individually, then packed in bubble bags, finally put in standard export carton packing, or OEM packing. Alumina Water pump seal ring is to plug the gap between the housing and the rotating shaft so tightly that no liquid or gas may escape. This leakproof seal is achieved by means of a rotating sealing surface at the point of shaft entry. 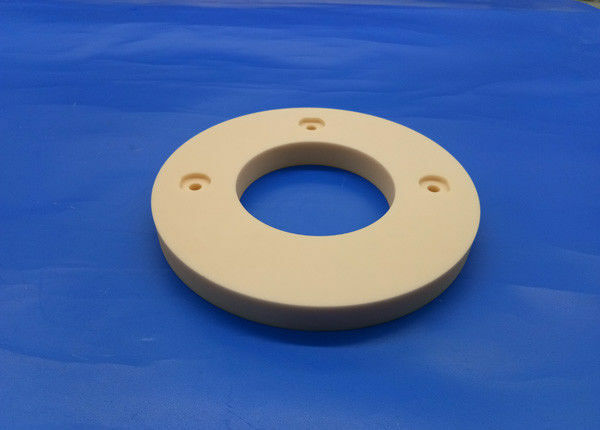 With their outstanding thermal conductivity, low heat expansion coefficient and high Young's modulus, high-performance ceramics minimize any deformation to the face seal or packing ring under mechanical and thermal loads. Alongside such resistance to corrosive media it is the tribological properties of the sealing system that figure predominantly in the selection of material. The important factor is whether or not the seal gap is lubricated by a fluid medium (be it liquid or gas). For this reason there is standard combination of materials. If there is lubrication in the system, ceramic to ceramic matings are possible. In other instances, one of the two components. Alumina ring 99% will be wraped in paper first individually, then packed in bubble bags, finally put in standard export carton packing, or OEM packing..